Earn Cash for Playing Games and Reading Emails! 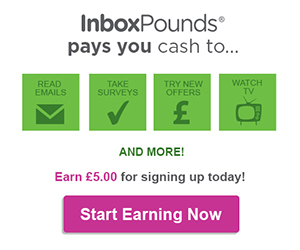 Register for Inbox Pounds and start earning cash for online activity including playing games, reading emails and completing surveys – they’ll even give you a bonus on signup and the chance to win prizes. You’ll not make a fortune, but it’s a nice little bit on the side and can even be quite fun!